Penmanship not your best quality? Order this True Love Stamp to show that fancy just might be your middle name. Use it on anything from do it yourself (DIY) projects to handwritten cardstock, not those lame store bought Valentine's cards. Get yours here by clicking Add to Cart! 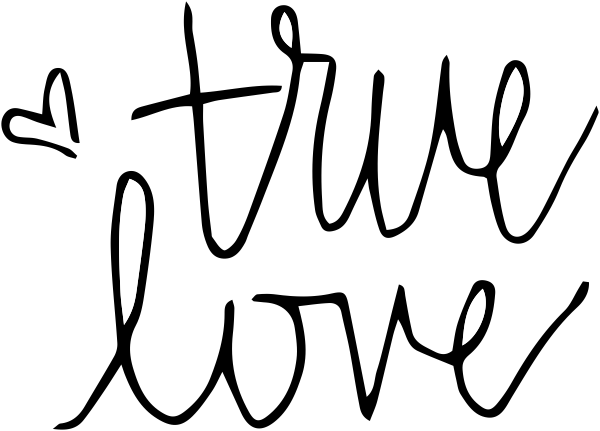 Use our adorable True Love Stamp for crafting when you want to create the illusion of a handwritten note. This stamp measures approximately 1.75" but can be upsized for a larger impression! Our products are not only made in the USA but also hand made in house. Don't forget to add one of our craft ink pads in a variety of colors so you can further express yourself! All our craft stamps are made of high quality polymer that provides consistently clean and crisp impressions.